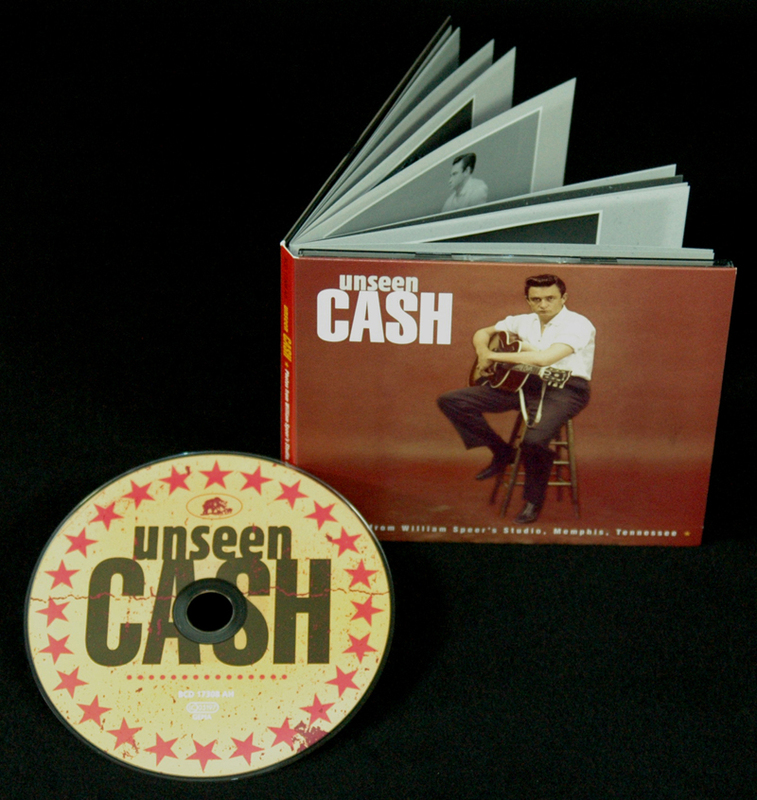 In 1955, at the dawn of his long career, Sun Records president Sam Phillips sent Johnny Cash to a nearby photographer, William Speer. Cash was fortunate because Speer was an innovative craftsman, influenced by vintage Hollywood photographers who used light in a dramatic new way. 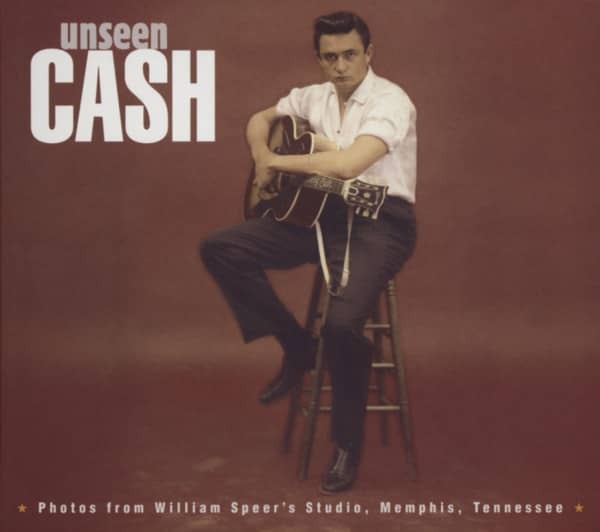 Speer shot photo sessions with Cash, between 1955 and 1958. 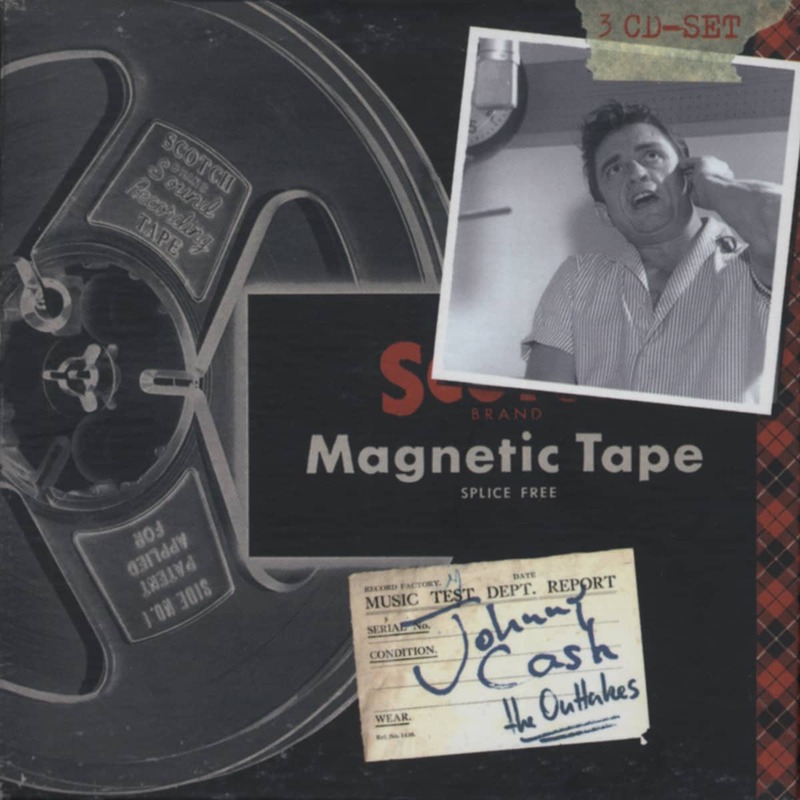 A couple of images were published in the 1950s, but the rest were stored away … until now. 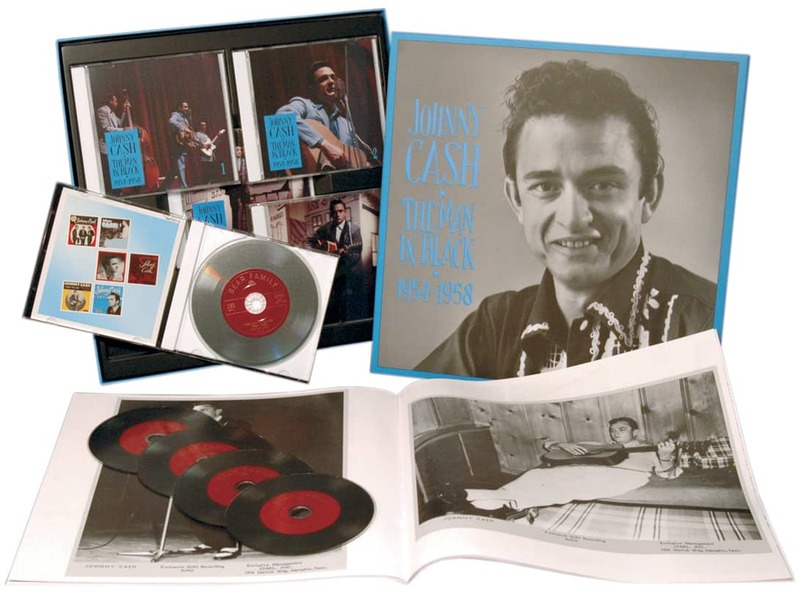 Realizing that the photos deserved to be seen full size, Bear Family lustrously restored them and packaged them in a 16-page LP-sized hardcover book, accompanied by a one-sided LP of rare live audio from the same era. 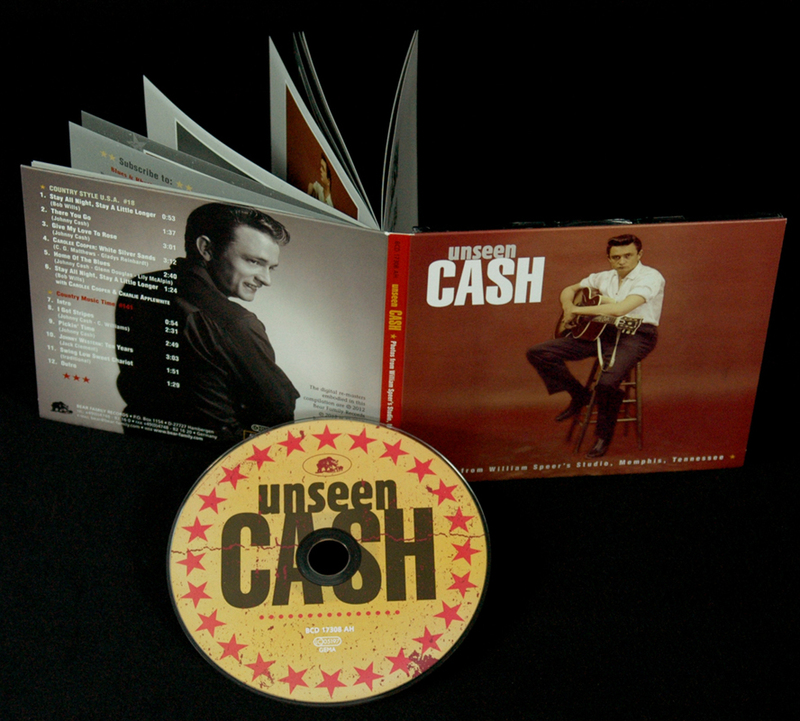 The other side of the LP is a 3-D engraving of Cash. 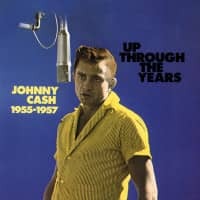 And so now, eighty years after Johnny Cash was born in rural Arkansas at the height of the Great Depression, we see him in a new light. 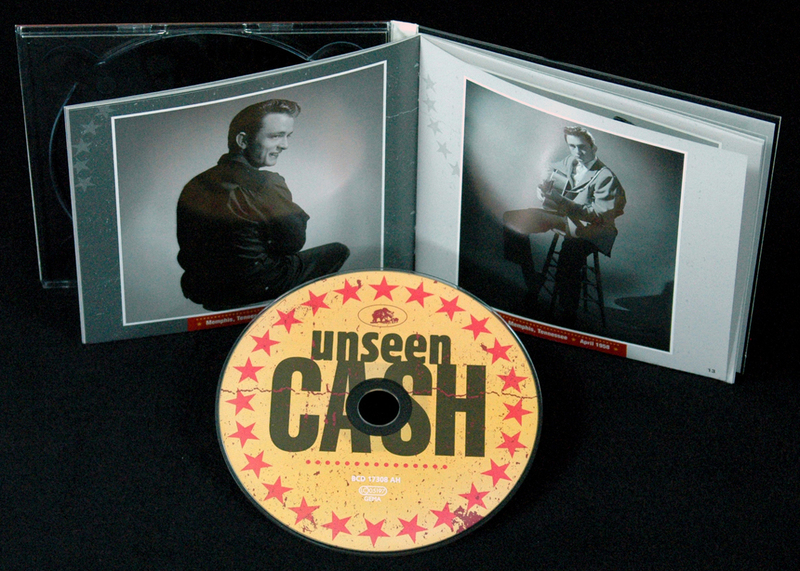 There are many Johnny Cash collectors, and this is Cash in words, music, and … above all … striking unpublished images! 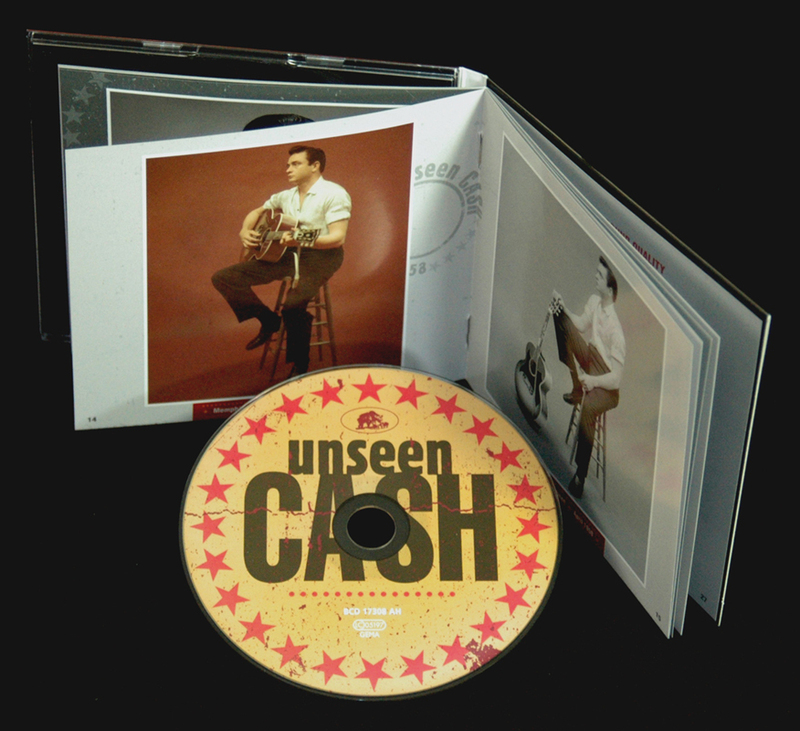 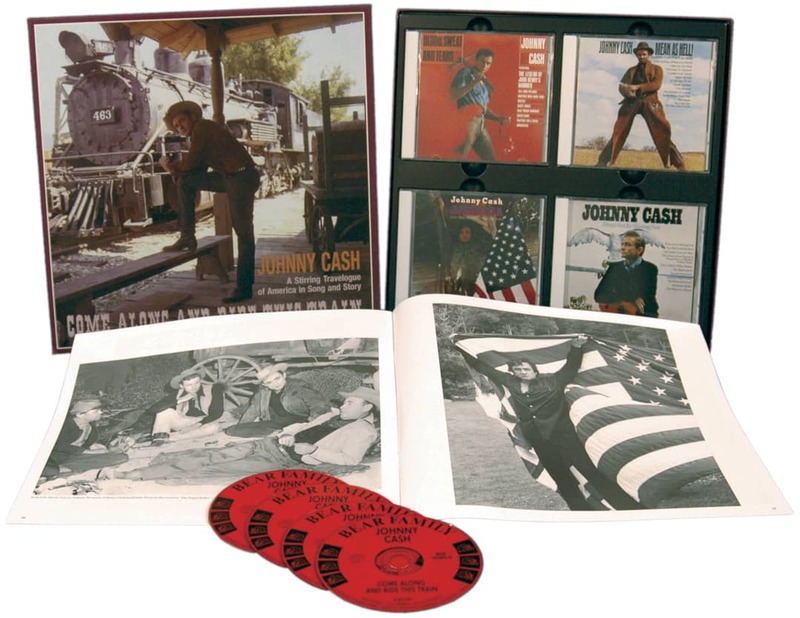 Customer evaluation for "Unseen Cash From William Speer's Studio"
Bear Family have produced many fine Johnny Cash packages over the years, and this one is a great addition to the collection. 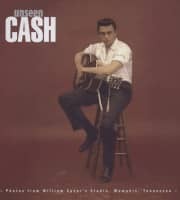 einzigartige Portraits.. Hier kommen alle auf ihre Kosten, visuell und musikalisch, toll präsentiert.